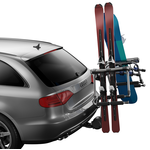 Transforms your summer bike carrier into a winter ski and board carrier for your vehicle. 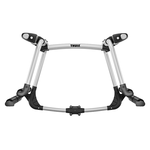 *REQUIRES Thule Hitch or Spare Tire Carrier model 9031,9030, 9029, 9027, 9026, 9025, 956, or 958 for use. 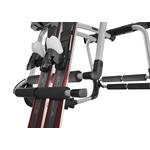 Ultra soft rubber arms hold skis and boards securely without scratching surfaces. 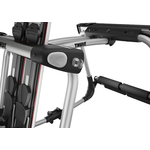 Holds up to 6 pairs skis or 4 snowboards (on 2" class two receiver racks). 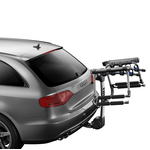 Carries up to 4 pairs skis or 2 snowboards on 1 1/4" receivers and Thule Spare Tire carrier.